LUSH LUSH LUSH. Who can beat a bit of Lush, it is perfect in all occasions. It certainly makes your bath or shower 100x better. Over the last year I have received a few bits and pieces and I thought I would share my favourites. I received the Sweetie Pie gift set from my sister as a Christmas present. Snow Fairy is my all time favourite smell/products from lush. It is my ideal smell and I cannot get enough of the stuff. 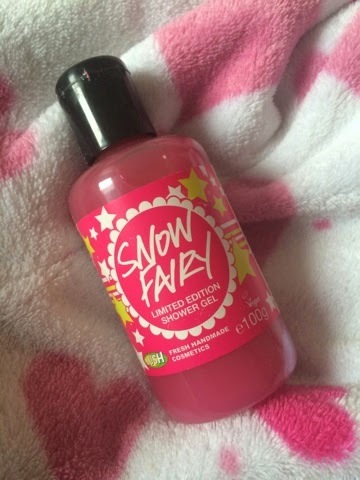 I was super happy so to see the bottle of Snow Fairy which I have unopened as I am leaving it until last. Having used this product before I know that the scent stays on your skin all day. 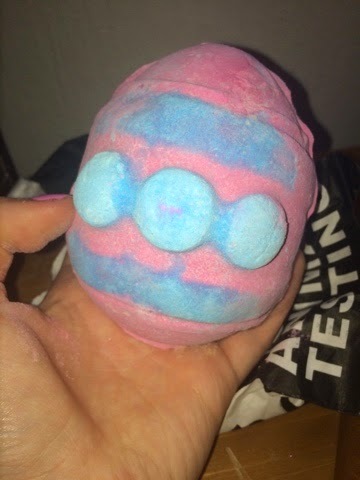 The bath bomb in the set was Shoot For the Stars, This is again one of my favourite. Drop this in the bath and it creates a space like scene in the tub. Very pretty colour. The product was very relaxing and very moisturising. It did leave me with a lovely purple bath. I was delighted to see Candy Mountain. I had always wanted to try it but not realising it was only out at holiday time i never picked it up. I love it. It smells a lot like Snow Fairy, very sweet, like candy floss. which is a win for me. It created a lot of bubbles and a sweet smell. It was nice to relax with. I definitely need to stock up on this at Christmas so I can use them all year round. I received Hoppity Poppity as a Easter gift from my sister. It gives an amazing smell that lasts a long time. Very cute. Semi sparkly bath. Not to much colour or bubbles but feels nice on my skin. The smell reminded me of Parma Violets (a favourite candy as a child) I love the bath bomb and it was perfect for Easter. I will definitely be buying it again. The Immaculate Eggception. Probably one of my favourite, you crack the outer shell to a little chick inside. Once again the smell is very sweet like candy and it gives a lovely pink colour to you bath. This is a very large bath bomb which means it can be used for three baths. Although it hasn't got anything inside for moisturising, using a bath melt or another products would work lovely. Would highly recommend. The last products is my most bought product. Think Pink. I love the look of the bath bomb. The flowers are so pretty. It always makes my skin feel super soft and clean. Once again it leaves the bath with a lovely pink colour. I seem to love the sweet scents as this is very sweet. 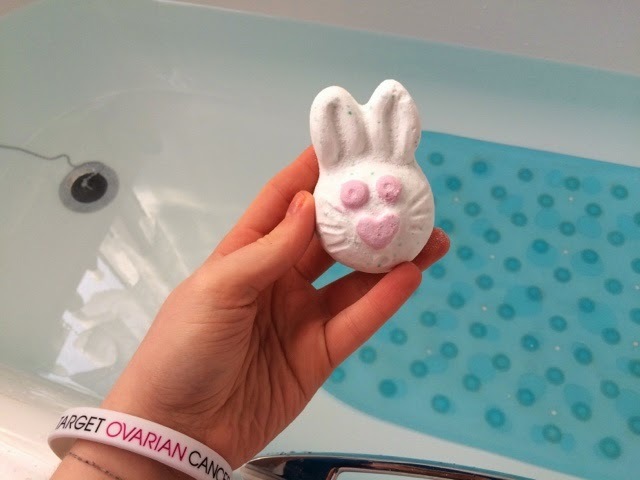 If it could not get better once it has melted in the bath it produces little confetti hearts. Like I said it is a must have. 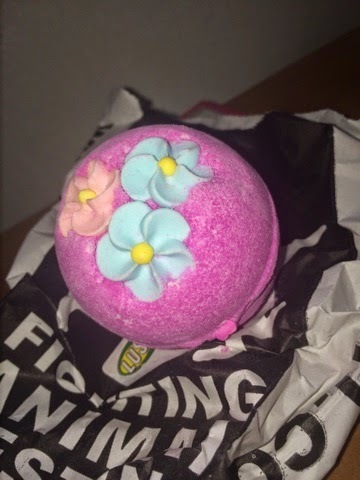 What is your lush favourites? Any recommendations?